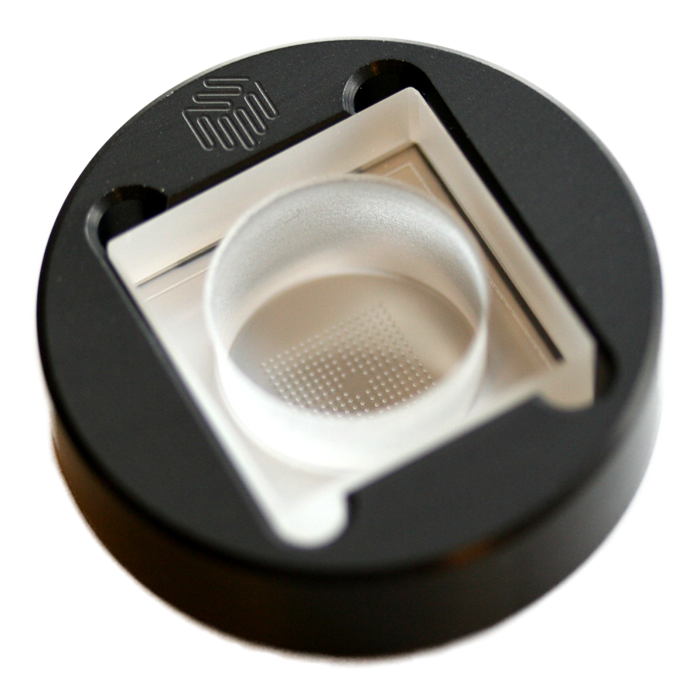 The Embryo Immobilisation Chip is designed for the immobilisation and imaging of a large number of small (up to 150 µm diameter) non-adherent samples, such as embryos or cell aggregates. 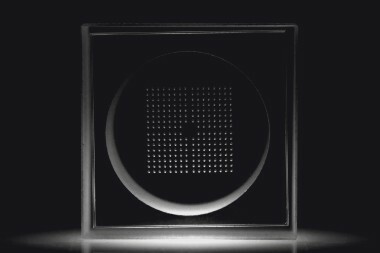 Samples can be transferred with a micro-pipette into well chambers that are open to the medium and have a bottom thickness that corresponds to a standard optical cover slip, allowing confocal imaging. 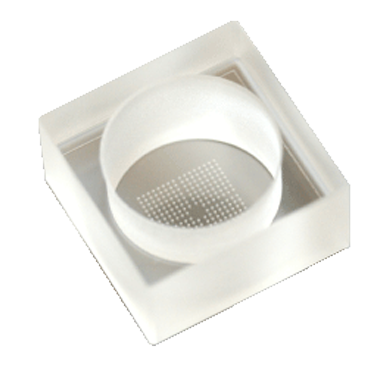 The specific design of the well chambers keeps samples in place throughout imaging and during mounting/dismounting from the microscope.